Laura is originally from the UK and has been a resident of Baja California for 3 years. She is a PADI IDC Staff Instructor qualified to train basic level instructors. 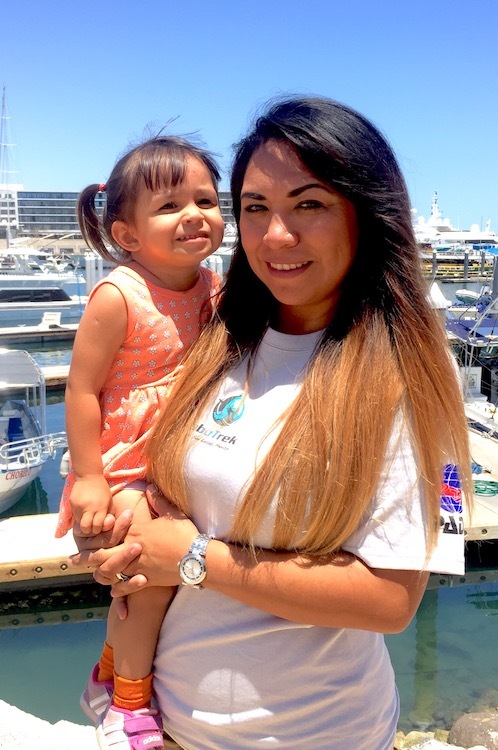 Passionate about conserving the aquatic realm, Laura came to Baja California to work as a marine park guide in one of the world´s most successful projects: Cabo Pulmo Marine Park. Laura eventually moved to Cabo San Lucas when she was asked to manage the scuba diving department of a large adventure company but a year later she found Philip and the Cabo Trek team where she enjoys taking smaller private groups diving and having the opportunity to focus more on conservation. 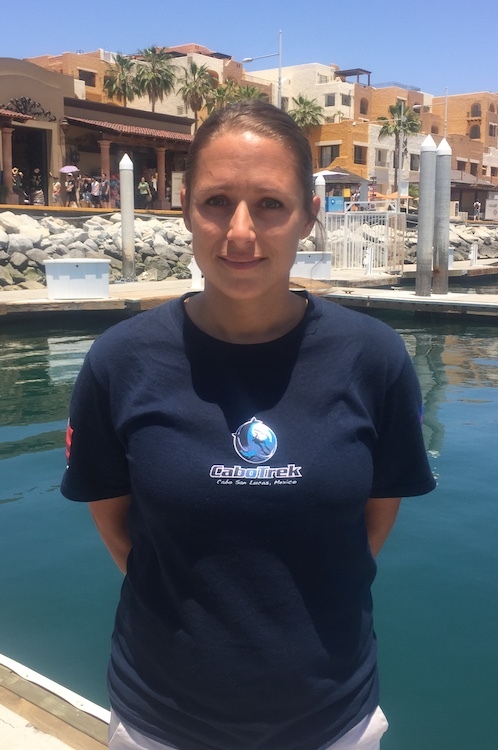 Laura is a shark conservation specialist and is currently developing Cabo Trek´s Free Diving program. Aside from scuba diving Laura´s favourite tour is the La Paz Whale Shark tour. Laura can be found either managing the office or 50 feet underwater playing with sea lions and reef sharks. 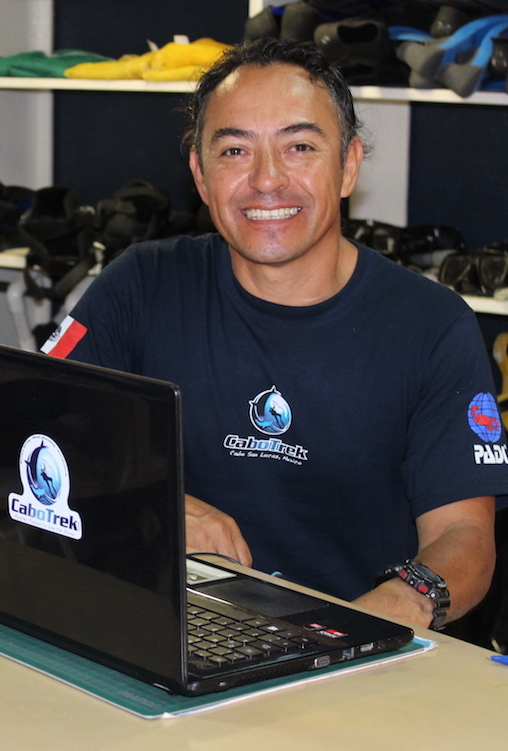 Oscar Hernandez is our Public Relations in Cabo Trek, with the expectation to collaborate to improve this activity center and set a new standard in terms of quality of our tours. 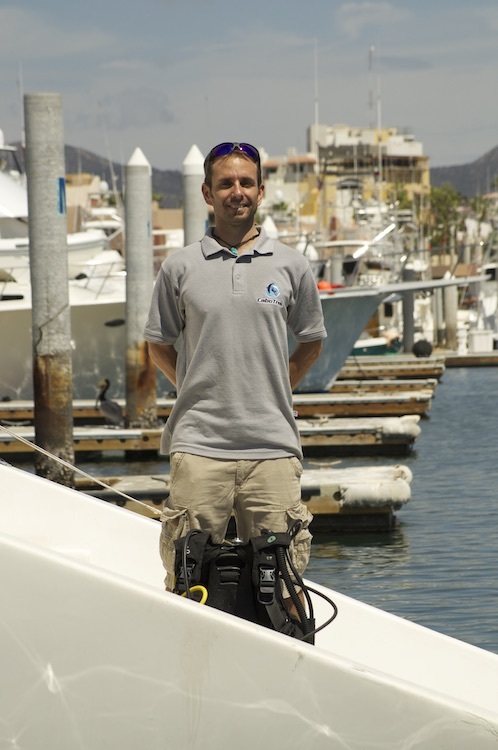 He was born in Mexico City and moved to Baja California Sur 25 years ago, he loves the sea and the wild nature of Baja: last but not least he has a PADI open water certification and knows the diving and snorkeling area very well. More than 18 years of experience in the field of promotion and sales make him an expert as he worked in some of the best resorts in the area as activity director and operation manager. For Oscar the satisfaction of the customer is the number one priority, he enjoys to interact with our clients and to assist you in everything you need to set up a nice tour with us. Adriana Galindo de Moser is a good person to have in your corner. You might not see her around the shop very often, but without her everything that happens at Cabo Trek would not have been possible. She plays a very important role in the whole organization of Cabo Trek handling important essentials like public relations, communications, operations management and unconditional husband support. In her hands the next generation of nature lovers: Valentina Moser, one more reason to get up and work hard every day. Cabo Trek was founded by Philipp Moser, a true world trekker who has lived and worked in many exotic locations such as Thailand, Nigeria, and different parts of Central America. He’s a professional and energetic Austrian entrepreneur with lots of passion for the ocean and the environment. He first came to Cabo in 2011 for a “planned short period of time,” but amazed with the surrounding natural beauty, decided to make it his permanent home. For this reason he created Cabo Trek. Supported by an incredible team of incredible people who share his same vision, passion, and enthusiasm for the oceans and great outdoors.